We’re pleased to announce our sister site Solar Guide has been launched. The site offers a complete list of nationwide engineers for the installation of solar PV and solar water heating panels. Solar Guide enables consumers to find and locate engineers in their area and request quotes directly through the site. You’ll find everything you need to know about switching to solar with articles on installers, incentive schemes such as the Feed-in Tariff and background on solar power. 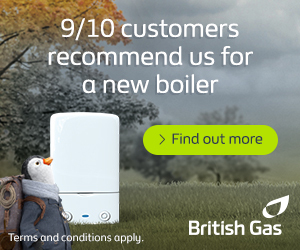 The website is updated on a constant basis with new installers and engineers added frequently covering all areas of the UK so you can find the best deal in your region. If there is anything you’re unsure of when it comes to having solar power installed into your property then you’re bound to find the answers on Solar Guide. We’ve got information on all the available incentive schemes, the technical breakdown of both solar PV and thermal water heating panels and general information about the benefits of solar power. Also updated on a regular basis is the Solar Guide news section, bringing you the latest developments with the solar industry, updates on incentives and news focussed directly on solar power. If you’re seriously interested in gaining from the benefits of solar PV or solar thermal water heating, all you have to do is fill in our quick and easy quote form and we’ll do all the leg work to find you three reputable installers ready to quote you on an installation. It’s that easy. Click here to check out the new site. NEXT POST Could Water Wastage Ruin the UK’s Carbon Emission Targets?